How to Deposit a Cheque in Bank of Baroda? Cheques are used widely in India and all over the world to make the payments. Let’s talk about India, in our country people use cheque especially the ones who are in the business field to make the payments. Today I will tell you how you can deposit a cheque in Bank of Baroda. This guide is for you if you have a bank account in Bank of Baroda and have received a cheque in your favor. No matter from which bank the cheque has been issued. I mean to say that you have a bank account in Bank of Baroda. And the issuer bank of the cheque is Bank of Baroda or any other bank. The steps which you have to follow to deposit a cheque in Bank of Baroda are very easy and you will understand them very easily and very fast after reading this guide. So let us not waste the time and check out how you can deposit a cheque in Bank of Baroda. Ok, so here are the steps which you need to follow to deposit a cheque in Bank of Baroda. But I would like to tell you one thing and that is it will take time for the cheque to get cleared. So the first thing which you have to do is visit the Bank of Baroda branch where you would like to deposit your cheque. The branch where you would like to deposit the cheque probably will be your home branch. The next step after visiting the Bank of Baroda branch is to collect or get a Pay in Slip. This form is used when you want to deposit the money in your bank account. We are going to use the same form to deposit the cheque too. And finally, you have to drop the Pay in Slip with the Cheque in the cheque drop box which you can find at your home branch of Bank of Baroda. So these are the 6 steps which you need to follow to deposit a cheque in Bank of Baroda. I hope you are clear with all the details which are mentioned in this guide. If you have any kind of doubts then you can comment down below. How to Write Letter to Bank Manager to Change Name in Bank of Baroda Account? How to Write a Letter to Bank Manager to Close Bank of Baroda Account? How Much Time does it take to Clear Demand Draft in Bank of Baroda? How to Cancel Demand Draft in Bank of Baroda? How to Find IFSC Code of Bank of Baroda? How to Find SWIFT Code of Bank of Baroda? How to Cancel MMID in Bank of Baroda? How to Get MMID of Bank of Baroda? How to Request Cheque Book in Bank of Baroda? How to Activate Bank of Baroda Internet Banking? Bank of Baroda Mobile Banking: How to Activate and Use? How to Withdraw Money From Bank of Baroda ATM? 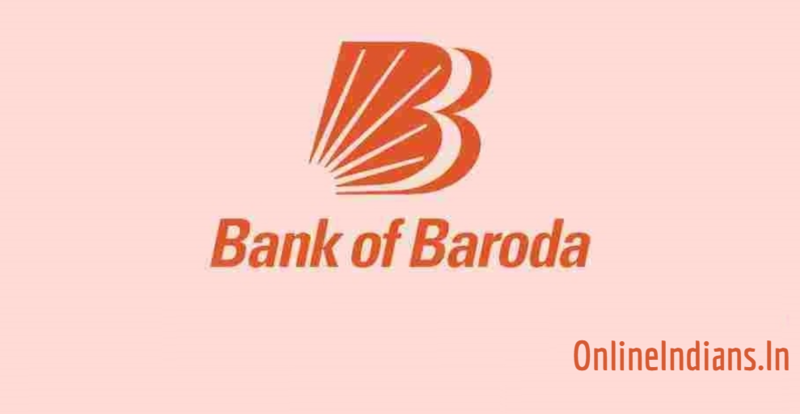 How to Change the Signature in Bank of Baroda Account? How to Get New Bank Passbook in Bank of Baroda? How to Check Bank of Baroda Account Balance by Missed Call? How to Apply for New Bank of Baroda ATM Card? How to Register Mobile Number with Bank of Baroda Account? How to Change Address in Bank of Baroda Account? How to Link PAN Card with Bank of Baroda Account? How to Block Bank of Baroda ATM Card? How to Close Current Account in Bank of Baroda? How to Open Current Account in Bank of Baroda? How to Break Fixed Deposit in Bank of Baroda? How to Open Fixed Deposit in Bank of Baroda? How to Activate Bank of Baroda ATM Card? How to Change Name in Bank of Baroda Account? How to Open Bank Account in Bank of Baroda? How to Reactivate Dormant account in Bank of Baroda?